Action Network » Should Student Evaluations of Teaching be Nixed? How should colleges and universities evaluate the teaching performance of their faculty members? 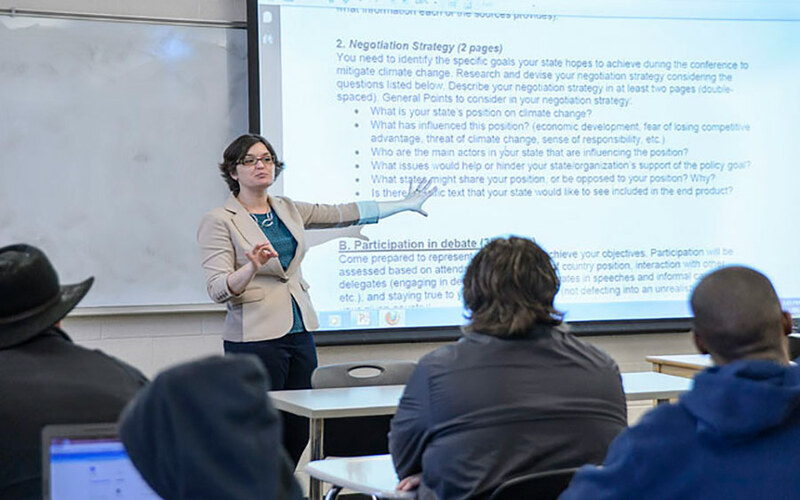 While there are numerous possibilities, student evaluations of teaching are often the primary tool used to rate professors in the classroom. Although students’ assessments of their teachers can provide valuable feedback, a recent study by the American Political Science Association (APSA) confirmed previous assertions that student evaluations are often biased against women. So how is gender bias detectable in student evaluations? The APSA study found that the language students use when evaluating male professors differs significantly from the language they use to evaluate female professors. For example, students tend to refer to female professors as teachers but to their male counterparts as professors, even when the professors’ educational and professional qualifications are equal. In another research project, based on word usage in reviews of teachers on the Web site Rate My Professor, researchers found that male faculty members are more likely to be described as “funny,” “brilliant,” “genius,” and “arrogant,” while female faculty members are more likely to be described as “approachable,” “helpful,” “nice,” and “bossy.” Moreover, the APSA study found that students tend to comment on women’s appearance and personality far more often than that of men, who are judged on their intelligence and competency. Especially telling are the differences the APSA researchers found in evaluation scores for online courses administered identically and differing only in the gender of the instructor’s name. The data clearly showed that across all categories the professors believed to be male received higher scores than the professors believed to be female, even if the scores were unrelated to the individual instructor’s ability, demeanor, or attitude. For example, in a comparison of two classes, a professor believed to be female received lower ratings than a professor believed to be male on questions about textbook relevancy and about the appropriateness of the technology used for delivering instruction, even though those variables were identical for both classes. Moreover, although requirements and assignments for both classes were the same, students’ ratings on those metrics also exposed gender bias; of the twenty-three questions asked, there were none for which the instructor believed to be female received a higher rating than the instructor believed to be male. Assistant Professor: What’s the Next Step?